Lasek is among Canada’s most seasoned producer-engineers; his recordings and mixes marinate in slow-cooked analogue glaze, balancing spacious soundstaging against sumptuous saturation – as fans of his esteemed power-shoegaze rock band The Besnard Lakes can attest (and as can be heard on other award-winning recordings Lasek has helmed, by the likes of Patrick Watson, Suuns, Moonface and Esmerine). With Light Conductor, Lasek brings this studio sensibility to bear on music of slow inexorability and simplicity, co-piloted by the spartan and sultry aesthetic that has guided Ramsay through six albums of acclaimed electro-pop by Young Galaxy over the past decade. 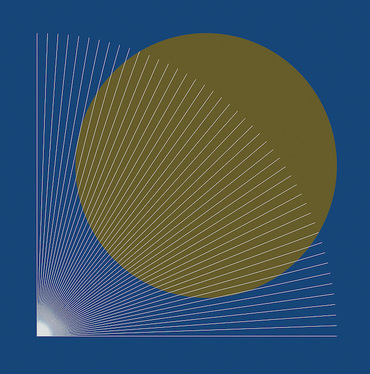 The two have been kicking out these Light Conductor slow jams for years, and fans of their respective bands should find profoundly dazed and satisfying respite alongside Lasek and Ramsay when taking the mesmeric plunge into Sequence One. Come float in their cosmic soup, as Side A unspools around the twinkling ostinato melody of “A Bright Resemblance” like a satellite signal pulsing through celestial refractions, with various atmospheric pressures increasing and eventually blanketing all transmissions in a white-noise blizzard on “Chapel Of The Snows.” Side B starts out in deeper space, on the fittingly titled “Far From The Warming Sun,” where a residual glitch skips amidst oscillating dark matter drones and distant intercepted tones, before returning to earth in the flinty rhythmic interlude of “When The Robot Hits The Water.” Sequence One ends with full ignition and lift-off: the duo’s eponymous electro-psych-rock closer “Light Conductor” (featuring Young Galaxy compatriot Catherine McCandless on backing vocals) is a throbbing empyrean slab of methodically levitational fuzz. Sequence One is pressed on thick midnight-black 180gram vinyl, with the first 333 copies in hand-numbered screen printed jackets on exquisite uncoated vellum-finish art stock paperboard. Long time friends Jace Lasek and Stephen Ramsay formed Light Conductor out of a mutual desire to create expansive drone, ambient, and electronic music. After fortuitously acquiring a trove of rare analog electronic gear and meticulously restoring it from various states of disrepair back into pristine working condition, the duo began to explore the creative territories that were opened by their new musical tools. 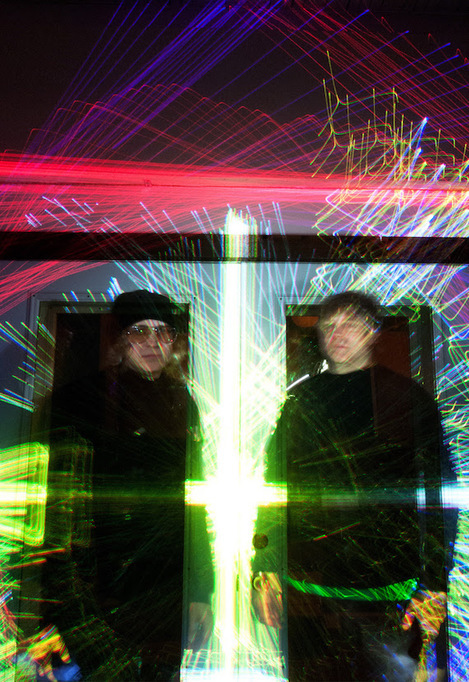 Using their mutual admiration for the celestial wig outs of Spiritualized, the quiet majesty of Eno’s ambient albums, and the experimental landscapes of William Basinski as a template, Lasek and Ramsay ultimately carved out a sound of their own, resulting in their debut album Sequence One.